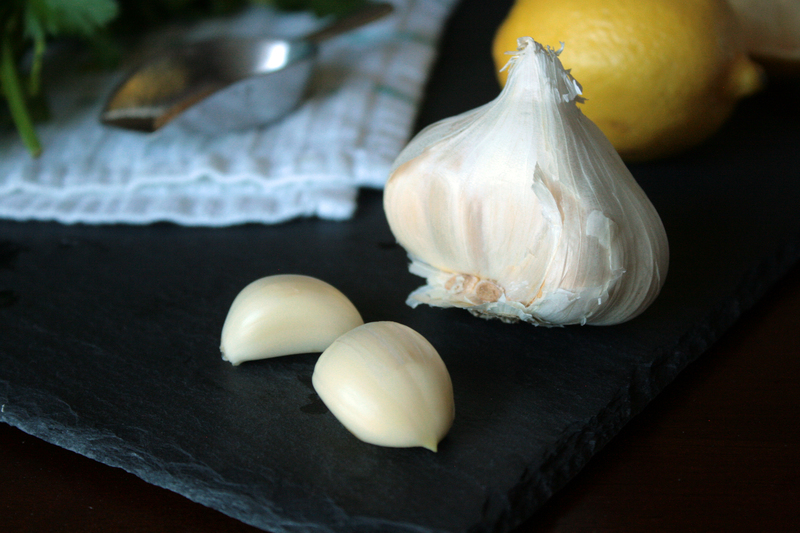 Since starting this blog I’ve received a ton of requests for what I should cook next. It’s fun reading the crazy recipes people send me, and a little dangerous because I get the urge to buy more kitchen tools and appliances I probably don’t really need… Among the requests, chimichurri sauce was one of the few that didn’t involve deep frying or wrapping something in bacon (not that I’m opposed to those things, but I can do enough damage to my cholesterol on my own, thanks, guys). 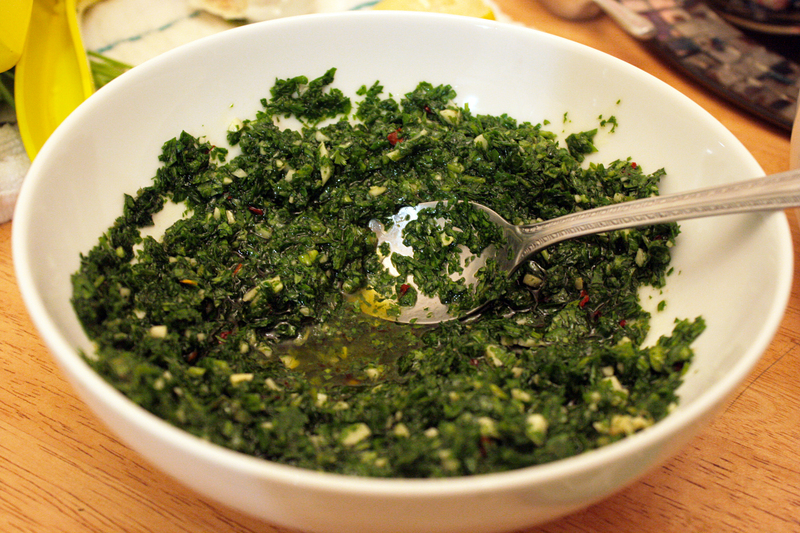 I also took on the chimichurri challenge because I’ve never made this versatile sauce before! 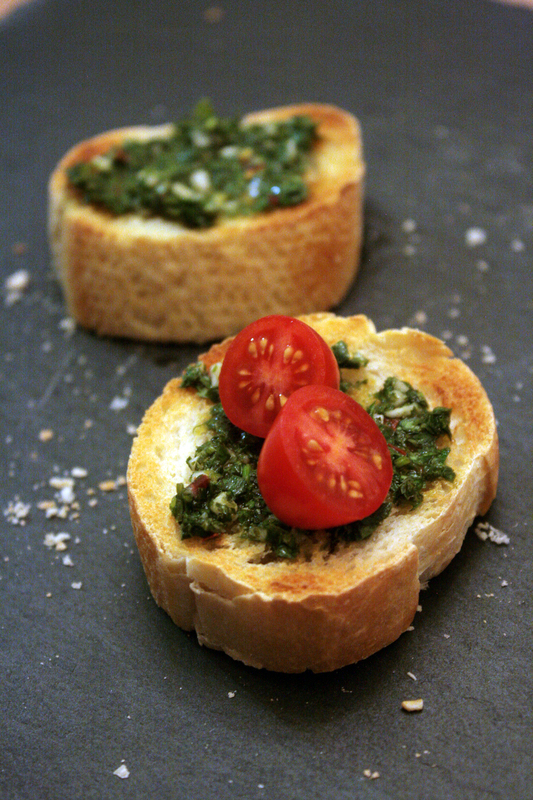 It can be used as dipping sauce with warm crusty bread, as a marinade for grilling meats, incorporated into pasta sauces for that tangy garlic punch, subdued with a little more olive oil and vinegar for a fresh salad dressing, and used in just about any other ways you can imagine to spread chimichurri garlicky goodness. I ended up eating some on toast and calling it a night, but the rest I portioned out for some steak, shrimp pasta, and for the friend who requested it. 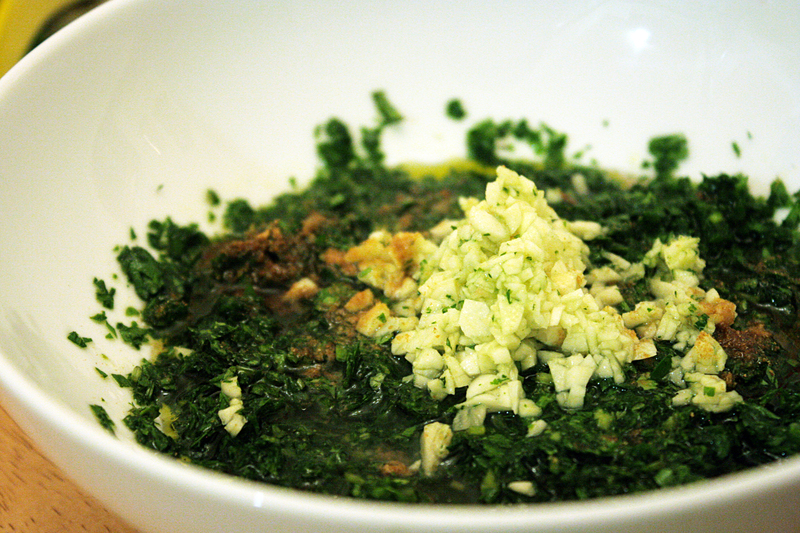 The recipe was adapted from Epicurious and tweaked for stronger garlic and cilantro flavor. I’m stubborn and like doing things the hard way authentic way, so I chopped up everything by hand when it probably would have taken just a few seconds in the food processor. ***This recipe yields about 1 cup. If I had paid attention to this little detail I would have at least doubled everything. 1. 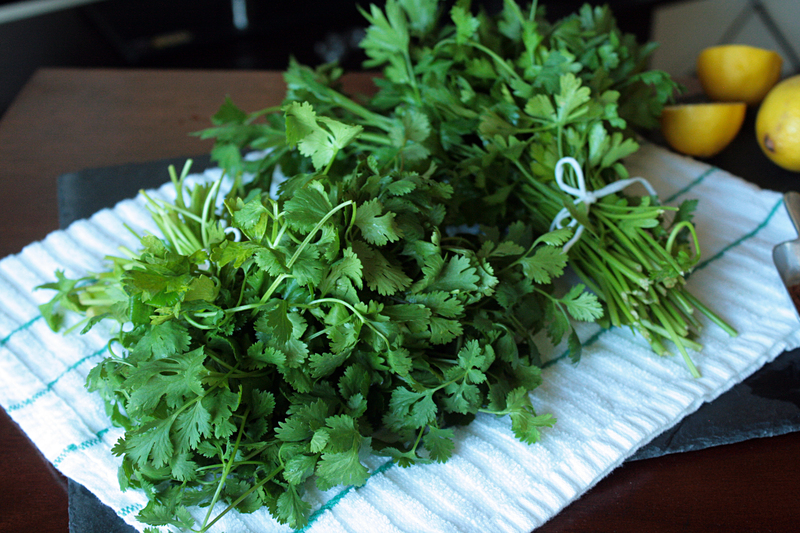 Prep your herbs: Wash and spin the cilantro and parsley in a salad spinner. 2. If you’re like me and dislike stems, only measure out the packed leaves after removing from the stems. 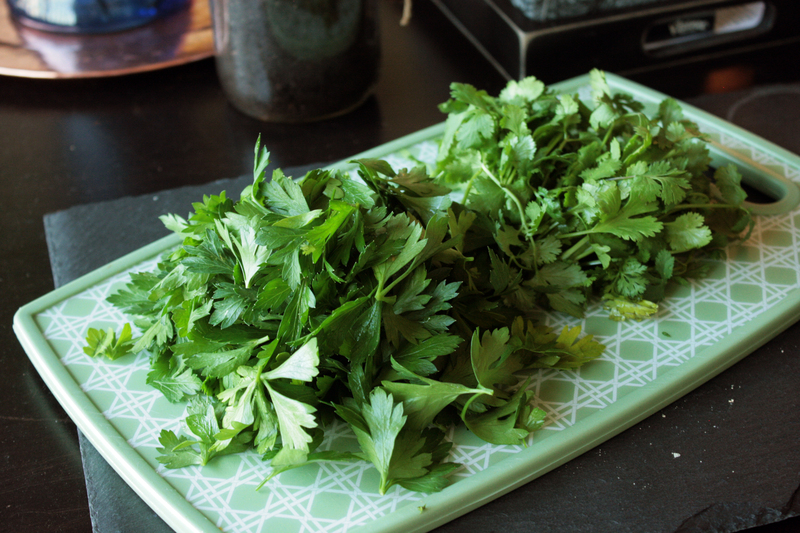 I found that a full bunch of parsley came out to a little more than 1 cup after removing the stems, while 3/4 of a bunch of cilantro came out to a half cup after de-stemming. 3. 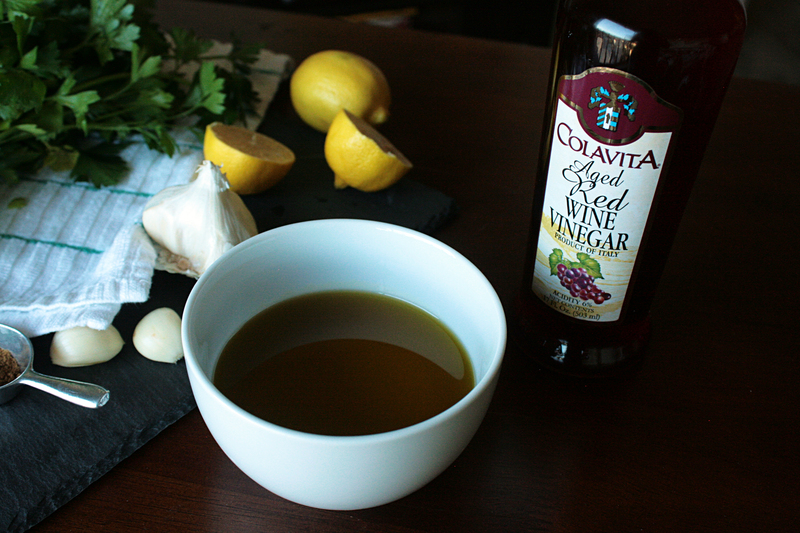 Measure out olive oil and vinegar into a bowl. Set aside. 4. 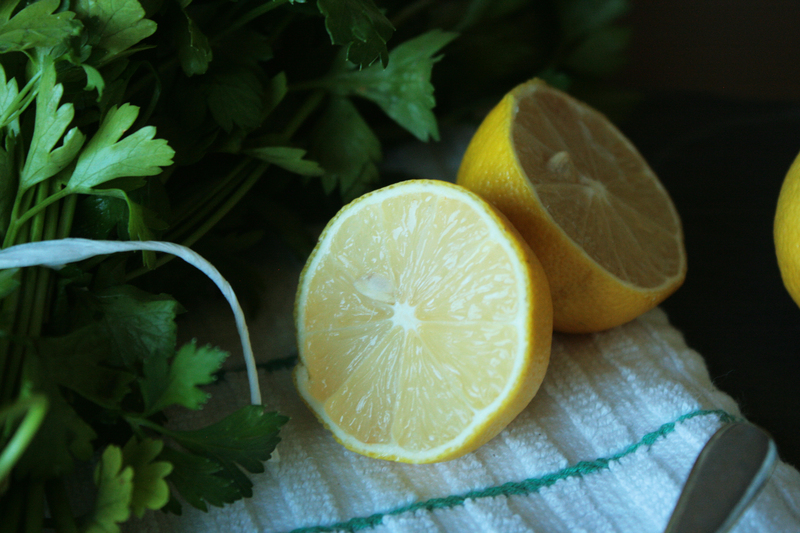 Cut lemons, and squeeze juice into olive oil and vinegar mixture. 7. 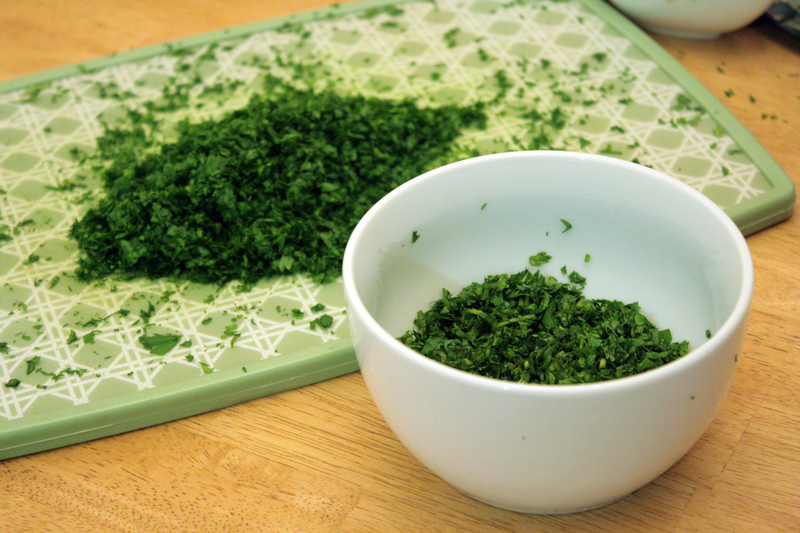 Finely chop herbs, and mix together in a bowl. 8. 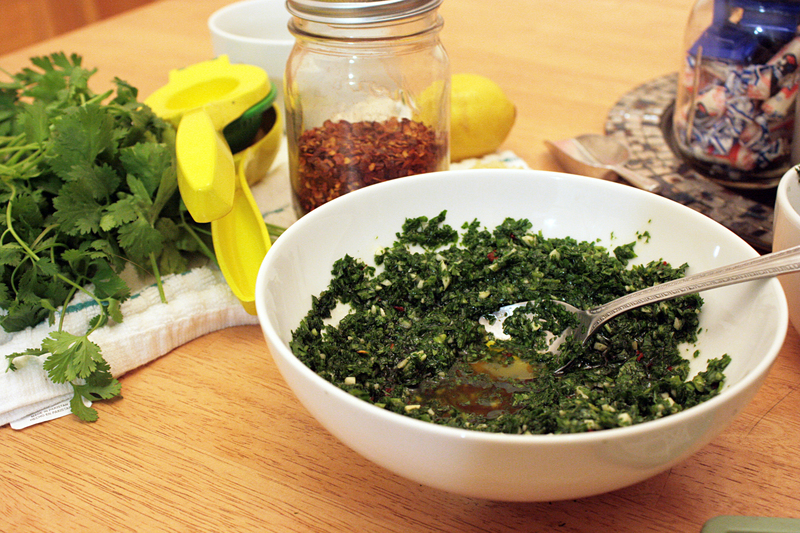 Add the olive oil, vinegar, and lemon to the herbs, mixing so the greens are saturated. Then add the diced garlic and cumin. Mix well. 9. 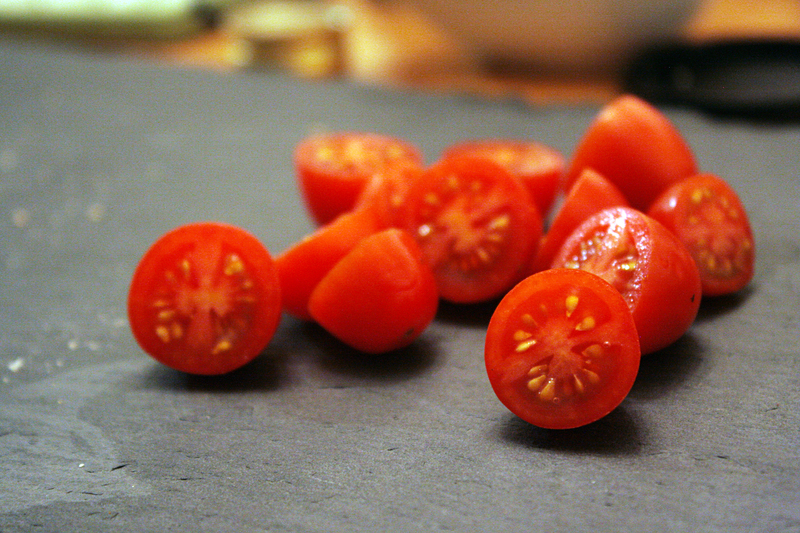 Add chili pepper flakes and salt to taste, and you’re done! 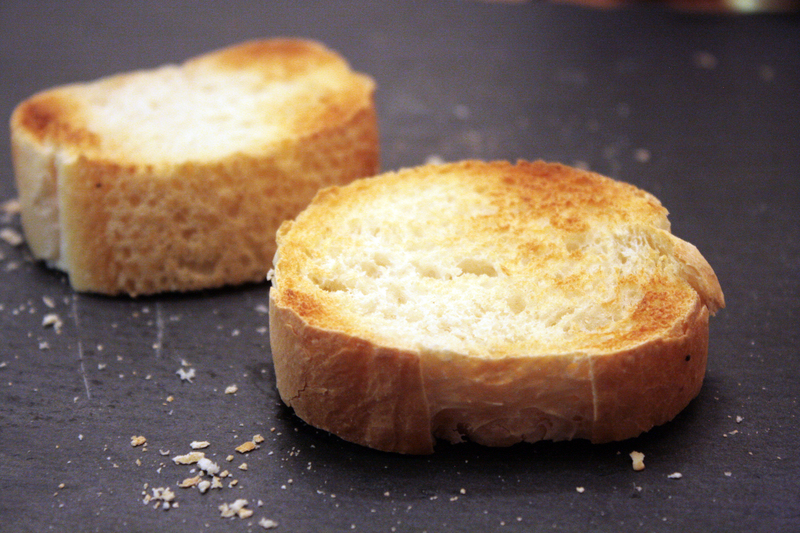 Simple and tasty. I’m not a fan of herby sauces that are blended to an oblivion, and chopping preserves texture more evenly, so that’s why I opted to do everything by hand. 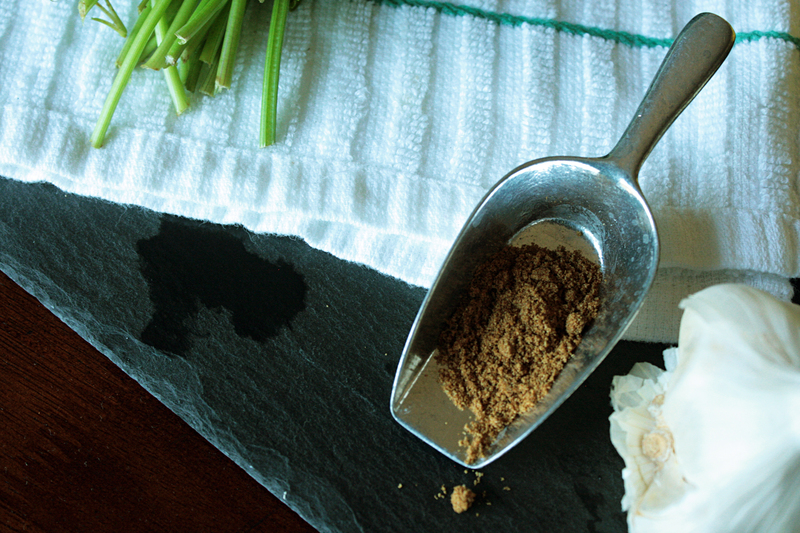 If you use a food processor, all you have to do is throw the prepared ingredients in, pulse until the right consistency is reached, and add salt and pepper flakes to taste. 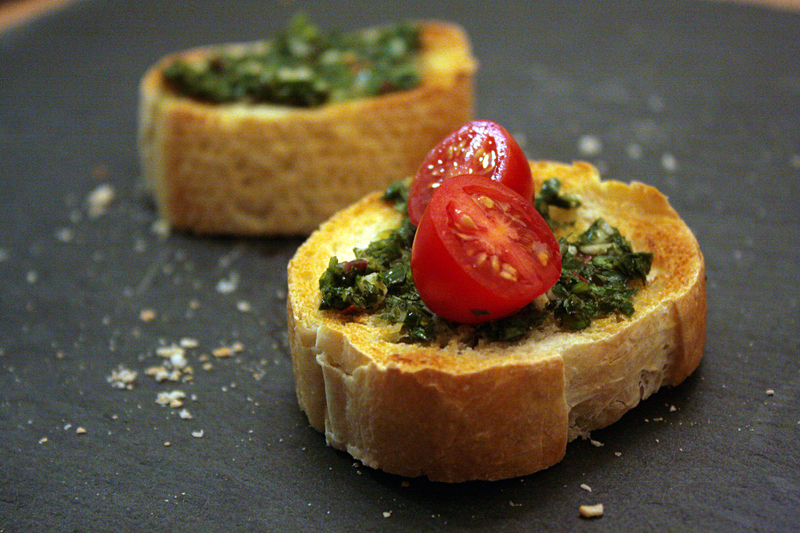 I enjoyed my chimichurri with some sweet cherry tomatoes. Here’s how that turned out!